A Veteran Teacher in a New Context at PEACE Academy was written for the NYC Department of Education’s Teacher Effectiveness program, which provided principals across New York City with coaching and support on giving feedback to their teaching staff. Lisa Reiter of PEACE (Purpose, Ethics, Advocacy, Community, and Environment) Academy middle school in the Bedford- Stuyvesant neighborhood in Brooklyn was one of nine principals involved in a series of discussions led by Eskolta with the goal of using their experience to help others. 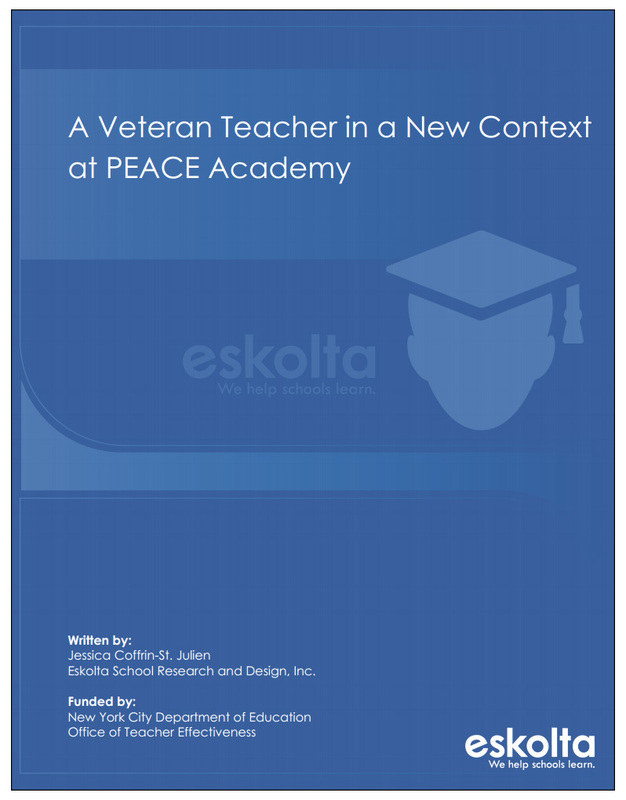 The case study examines the experience of Marianne Bertini, a veteran teacher new to NYC, during her first year working with Principal Reiter at PEACE Academy. In tracing Marianne’s story, the study reveals how frequent cycles of observation and feedback enabled her to reflect on and develop specific areas in her practice. As a result of having frequent feedback conversations with Principal Reiter, Marianne became more organized in her lesson planning and began incorporating new classroom strategies, such as pairing students by different ability levels to augment collaboration and learning.